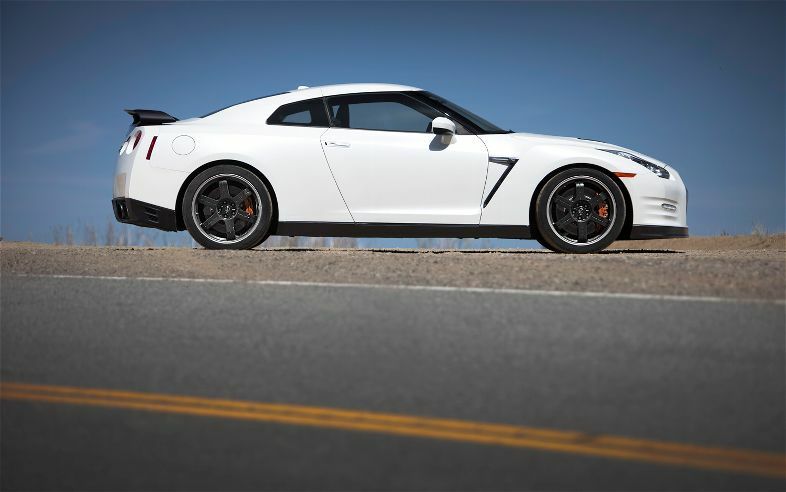 Just basing this contest off year, the Nissan GT-R is going to obviously win. Its a year newer. However in real life, the 2013 starts getting sold in early 2012, as did the years before it. It is the product cycles, and there is more to it than mere mortals will know or understand. 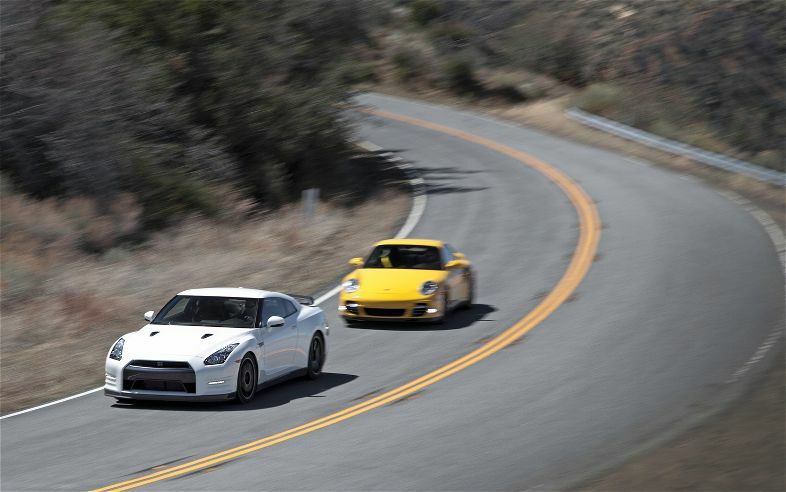 The Porsche Turbo S is the wound up version of the Porsche Turbo, the Nissan GT-R is a Black Edition. 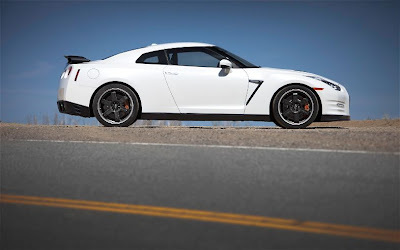 0-60 2.7 for the P car, 2.8 for the GT-R. Quarter mile 10.9 for the P car, and 11.1 for the GT-R. 127 mph with the Turbo S shows it makes pretty decent power. The GT-R will set your financial planner's hair on fire with a list price of $107,600, while the Porsche will induce laughter in everyone to whom you show the Monroney, because as-tested this bright-yellow banana of a 911 stickers for $178,525. 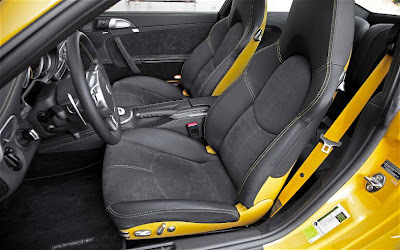 That's including $540 for the yellow seatbelts, a must-have option, says I.
I am not sure if I need the yellow seat belts. It does look like it feels nice. Kind of an odd statement, but I am sticking by it. Head over to the Motor Trend site for all the pictures and impressions.